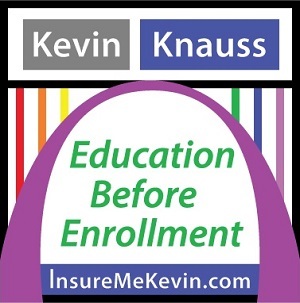 Special Enrollment Period Pre-Enrollment Verification: The rule proposes to expand pre-enrollment verification of eligibility to individuals who newly enroll through special enrollment periods in Marketplaces using the HealthCare.gov platform. This proposed change would help make sure that special enrollment periods are available to all who are eligible for them, but will require individuals to submit supporting documentation, a common practice in the employer health insurance market. This will help place downward pressure on premiums, curb abuses, and encourage year-round enrollment. Guaranteed Availability: The rule proposes to address potential abuses by allowing an issuer to collect premiums for prior unpaid coverage, before enrolling a patient in the next year’s plan with the same issuer. This will incentivize patients to avoid coverage lapses. Network Adequacy: The proposed rule takes an important step in reaffirming the traditional role of states to serve their populations. In the review of qualified health plans, CMS proposes to defer to the states’ reviews in states with the authority and means to assess issuer network adequacy. States are best positioned to ensure their residents have access to high quality care networks. Open Enrollment Period: The rule also proposes to shorten the upcoming annual Open Enrollment Period for the individual market. For the 2018 coverage year, we propose an Open Enrollment Period of November 1, 2017, to December 15, 2017. This proposed change will align the Marketplaces with the employer-sponsored insurance market and Medicare, and help lower prices for Americans by reducing adverse selection. SUMMARY: This rule proposes changes that would help stabilize the individual and small group markets. This proposed rule would amend standards relating to special enrollment periods, guaranteed availability, and the timing of the annual open enrollment period in the individual market for the 2018 plan year; standards related to network adequacy and essential community providers for qualified health plans; and the rules around actuarial value requirements. DATES: To be assured consideration, comments must be received at one of the addresses provided below, no later than 5 p.m. on March 7, 2017. Affordable Insurance Exchanges, or “Exchanges” (in this proposed rule, we also call an Exchange a Health Insurance MarketplaceSM,1 or MarketplaceSM) are competitive marketplaces through which qualified individuals and qualified employers can purchase health insurance coverage. 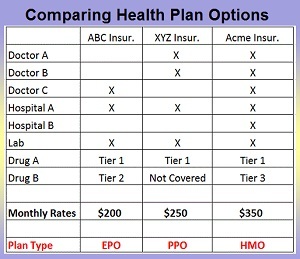 Many individuals who enroll in qualified health plans (QHPs) through individual market Exchanges are eligible to receive a premium tax credit to make health insurance premiums more affordable, and receive reductions in cost-sharing payments to reduce out-ofpocket expenses for health care services. The health and competitiveness of the Exchanges, as well as the individual and small group markets in general, have recently been threatened by issuer exit and increasing rates in many geographic areas. Some issuers have had difficulty attracting and retaining the healthy consumers necessary to provide for a stable risk pool that will support stable rates. In particular, some issuers have cited special enrollment periods as a potential source of adverse selection that has contributed to this problem. Concerns over the risk pool have led some issuers to cease offering coverage on the Exchanges in particular states and counties, and other issuers have increased their rates. A stabilized individual and small group insurance market will depend on greater choice to draw consumers to the market and vibrant competition to ensure consumers have access to competitively priced, affordable coverage. Higher rates, particularly for consumers who are not receiving advance payments of the premium tax credit (APTC), resulting from minimal choice and competition can cause healthier individuals to drop out of the market, further damaging the risk pool, and risking additional issuer attrition from the market. This proposed rule would take steps to provide needed flexibility to issuers to help attract healthy consumers to enroll in health insurance coverage, improving the risk pool and bringing stability and certainty to the individual and small group markets. To improve the risk pool and promote stability in the individual insurance market, we propose taking several steps to increase the incentives for individuals to maintain enrollment in health coverage and decrease the incentives for individuals to enroll only after they discover they require services. First, we propose changing the dates for open enrollment in the individual market for the benefit year starting January 1, 2018, from a range of November 1, 2017, to January 31, 2018 (the previously established open enrollment period for 2018), to a range of November 1, to December 15. This change would require individuals to enroll in coverage prior to the beginning of the year, unless eligible for a special enrollment period, and is consistent with the open enrollment period established for the open enrollment periods for 2019 and beyond. We anticipate this change could improve the risk pool because it would reduce opportunities for adverse selection by those who learn they will need services in late December and January; and will encourage healthier individuals who might have previously enrolled in partial year coverage after December 15th to instead enroll in coverage for the full year. Second, in response to concerns from issuers about potential abuse of special enrollment periods in the individual market Exchanges resulting in individuals enrolling in coverage only after they realize they will need services, we propose increasing pre-enrollment verification of eligibility for all categories of individual market special enrollment periods for all States served by the HealthCare.gov platform from 50 to 100 percent of new consumers who seek to enroll in Exchange coverage. We also propose making several additional changes to our regulations regarding special enrollment periods that we believe could improve the risk pool, improve market stability, and promote continuous coverage. Third, we propose revising our interpretation of the guaranteed availability requirement to allow issuers to apply a premium payment to an individual’s past debt owed for coverage from the same issuer enrolled in within the prior 12 months. We believe this proposal would have a positive impact on the risk pool by removing economic incentives individuals may have had to pay premiums only when they were in need of health care services. We also believe this proposal is important as a means of encouraging individuals to maintain continuous coverage throughout the year and prevent gaming. Fourth, we propose to increase the de minimis variation in the actuarial values (AVs) used to determine metal levels of coverage for the 2018 plan year. This proposed change is intended to allow issuers greater flexibility in designing new plans and to provide additional options for issuers to keep cost sharing the same from year to year. We are not proposing a modification for the de minimis range for the silver plan variations. We believe these changes are critical to improving the risk pool, and would togetherpromote a more competitive market with increased choice for consumers. The proposed amendments in this rule are also intended to affirm the traditional role of States in overseeing their health insurance markets while reducing the regulatory burden of participating in Exchanges for issuers. The first of these proposals relates to network adequacy review for QHPs. The modified approach would not only lessen the regulatory burden on issuers, but also would recognize the primary role of States in regulating this area. The second change would allow issuers to use a write-in process to identify essential community providers (ECPs) who are not on the HHS list of available ECPs for the 2018 plan year; and lower the ECP standard to 20 percent (rather than 30 percent), which we believe would make it easier for a QHP issuer to build networks that comply with the ECP standard. Robust issuer participation in the individual and small group markets is critical for ensuring consumers have access to affordable coverage, and have real choice in coverage. Continued uncertainty around the future of the markets and concerns regarding the risk pools are two of the primary reasons issuer participation in some areas around the country has been limited. The proposed changes in this rule are intended to promote issuer participation in these markets and to address concerns raised by issuers, States, and consumers. We believe such changes would result in broader choices and more affordable coverage. To review the full document outlining proposed rule changes to the ACA download the CMS file below.